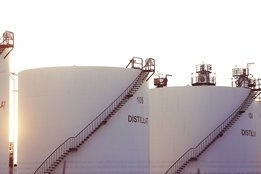 Japanese refiners are mulling their IMO 2020 bunker recipes as the country prepares to offer 0.50%S bunkers in H4 this year. "At least we have agreed with the shipping industry on a pour point and a kinematic viscosity [of the IMO-compliant bunker fuel]," Petroleum Association of Japan )PAJ) President, Takashi Tsukioka, was quoted by Platts as saying at a press conference. "We have yet to clear [the issue of] blending oil." Chief among its considerations is how much excess HSFO refineries will be left with, with PAJ research indicating a blend using HSFO and export-grade gasoil would result in 30.19 million barrels of surplus HSFO per year. Processing light or low sulfur crudes is another option to create the fuels. Whatever it chooses, Tsukioka says refiners will be ready with the new fuel in October or November, with Japan's Cosmo Oil last month having already said it will start production and supply of 0.50%S IMO 2020 bunkers from October.